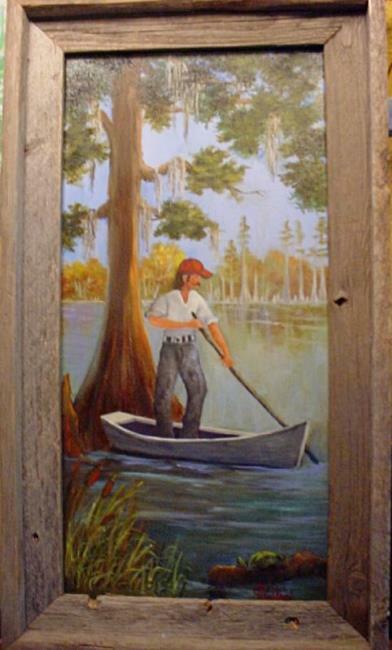 This oil painting was inspired from photos of the Louisiana bayous. The people use a pirouge (pee row) and a pole to fish. They catch some good tasting goodies in the bayou..